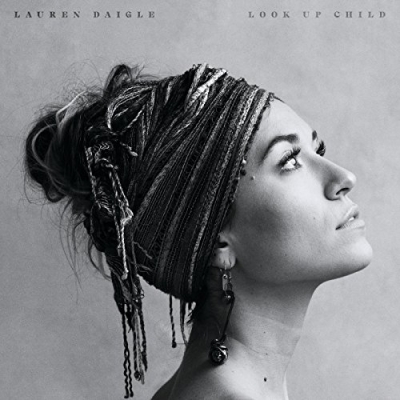 Two-time GRAMMY Award nominee Lauren Daigle has revealed new details about her much anticipated album, Look Up Child, including the official track listing and a very special lyric video for 'You Say'. An additional preview from the ambitious 13 track album, 'Still Rolling Stones', has been released. The soulful track shows just how hard Lauren pushed herself on this album, inciting catharsis in bluesy vocal runs, shuddering soul, and pure lyricism. For Look Up Child, Lauren worked with co-collaborators Jason Ingram and Paul Mabury to create a piece of work that she describes as a return to basics. Live musicians and a string section were added to preserve the integrity of the sound and ensure that everything would be real - nothing synthetic or manufactured. The title track “Look Up Child” encourages youthful whimsy with a soulful plea. Elsewhere, “This Girl” brings her back to a trying period and offers an assuring “reminder that I can’t ever lose who I am.” A centerpiece of the tracklisting, “Rescue” stretches from sparse piano into a choir-backed refrain, “I will rescue you.” Meanwhile, the closer “Turn Your Eyes” concludes on a jazzy slow burn whose embers glimmer with charisma and charm.